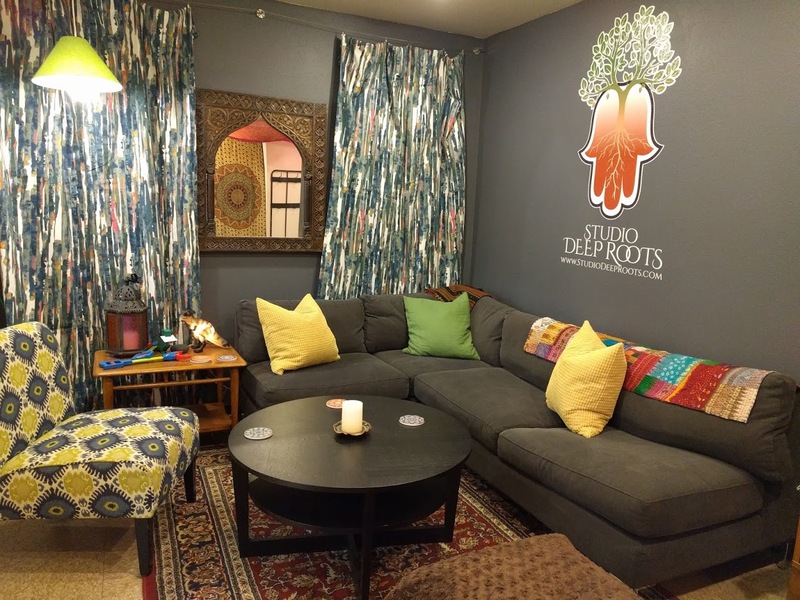 Studio Deep Roots offers two beautiful studios for enjoying dance, yoga, movement, music, and special events: our luscious little JewelBox, and our sweeping lofted Warehouse. 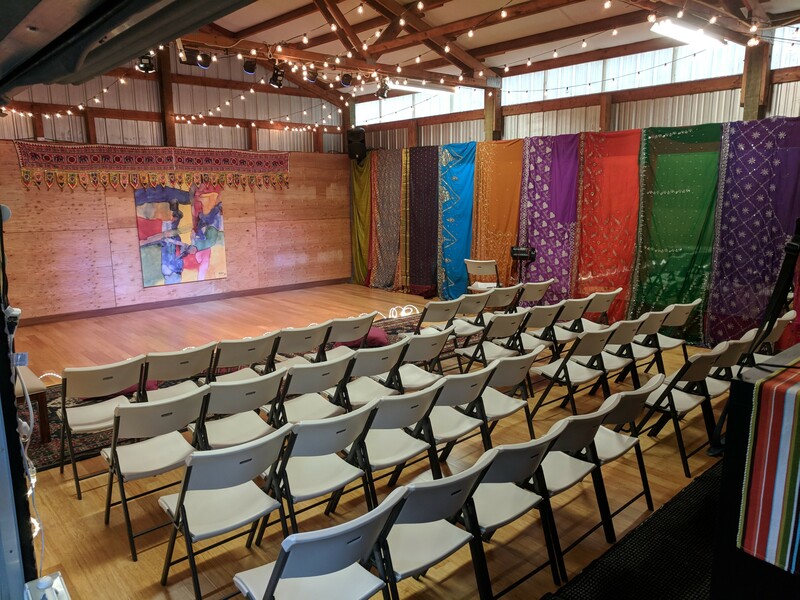 Renting either studio also gives you access to our beautiful shared spaces, including the inviting Dancer’s Lounge; our kitchenette with filtered water, fridge, hot tea, and snacks; and a sitting room + changing area. Both studios are furnished with cushioned, floating bamboo floors, mirrors, a sound system with a mini-jack input (CD player also available in Warehouse only), and cubby storage for your and your students personal items. All dance floors are soft-soled dance shoes or barefoot only, no street shoes, no tap/flamenco. All renters must carry their own liability insurance. Inquire about full rental policies for more information. Rentals start on the hour, in one-hour increments. Ideal for up to 25 participants in a movement-based activity. Can seat 60 in theater configuration for performance. 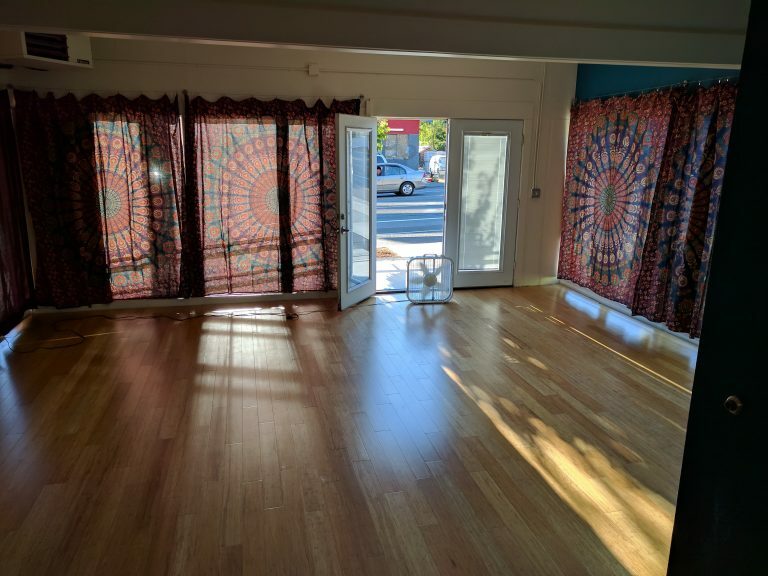 Includes: cushioned floating bamboo floors, 30+ ft of mirrors, high vaulted ceiling, roll-up garage door (great in summer), stereo system/CD changer, 16 student cubbies, natural light. Folding chairs, carpets, mixing board, and small stage lighting available. Great open space for dance, yoga, and movement arts. A painting, movement, and meditation workshop. 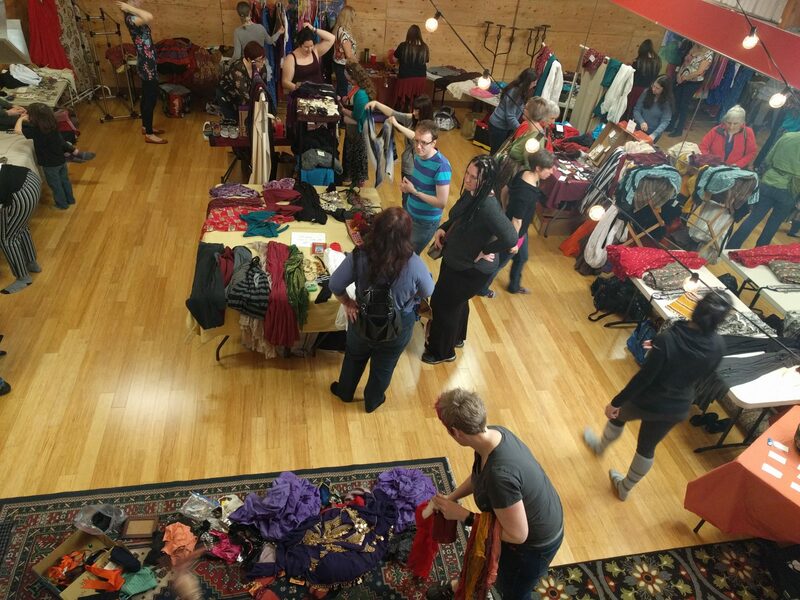 A community social and clothing swap. Set up for a performance evening. Further discounts offered for those who commit to longer-term rentals. Talk to us about what you're looking for! *All rental times must include set-up and tear-down time. The end of any rental period(s) must conclude 5 minutes before the hour, to allow transition time between renters. 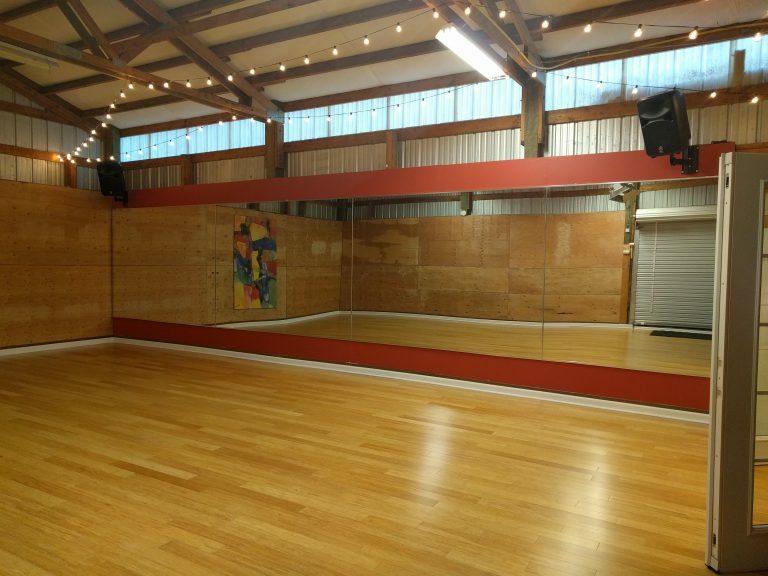 Great for solo or small group dance and yoga classes, rehearsals, private dance lessons, small group and private music lessons, filming online instructional videos, small group meetings and lectures. Includes: cushioned floating bamboo floors, mirrors, stereo system w/mini jack input, 8 student cubbies, lots of natural light, en suite restroom. Ongoing renters are charged a flat rate per month based on the number of hours they rent per week, assuming a 4-week month. This time is reserved for you each month whether you use that time or not, does not go up if there is a 5-week schedule in a month. This locks down your day and time so no one else can rent it and locks in your rental rate for the length of your contract, allows you the greatest flexibility in your personal scheduling, reliability for your students, and predictability in your budgeting–all things we teachers and artists need for success! A minimum three-month contract is required for these discounted monthly flat rates to apply, but longer contracts are possible, just let us know what you have in mind. Rental periods begin at the top of the hour and are for 55 minutes unless otherwise arranged (90-minute classes and longer class/workshop times can be arranged as is possible; inquire for more details). Fo full details on rental policies, we are happy to share our rental agreement and discuss details further. 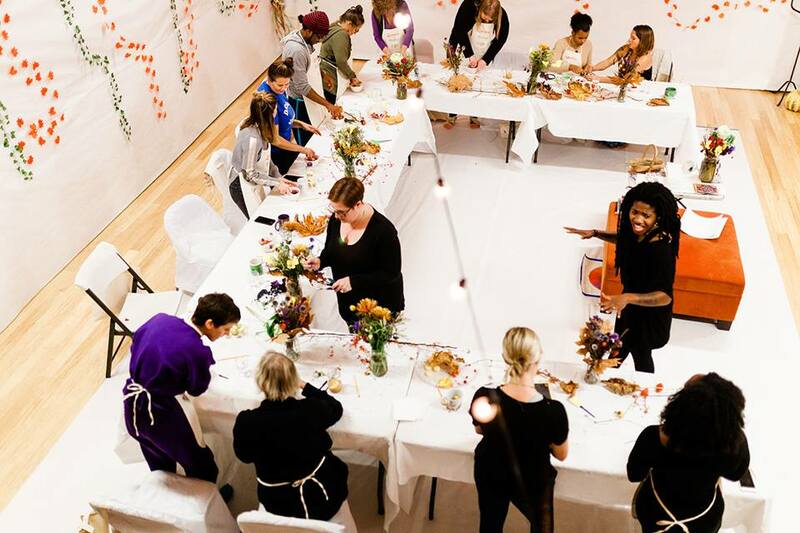 Contact us for more information on renting any of our spaces for your classes, workshops, or events!